Although implant standards address biocompatibility of a given material when used for surgical implants, they cannot be directly applied to the use or required finish for body jewellery. ternal tissue unless surgically removed or replaced, and are sometimes designed for bone or tissue adhesion. Healing piercings, however, form tissue against the smooth non-adhesive surface of the jewellery, and this jewellery can be changed when appropriate. For these reasons we list designation compliance as it applies to material content only; the finish requirements are described separately below. Products with an ISO or ASTM designation are so noted and a statement specifying the finish requirements particular to body jewellery has been added. 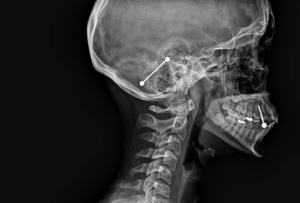 In addition, several materials designated for applications other than implants have been proven through historical and practical application to be suitably biocompatible for initial piercing. For body jewellery purposes, surfaces and ends must be smooth, free of nicks, scratches, burrs, polishing compounds and metals must have a consistent mirror finish. For body jewellery purposes, surfaces and ends must be smooth, free of nicks, scratches, burrs and polishing compounds. Metals must have a consistent mirror finish on surfaces that frequently come in contact with the tissue. All jewellery used for initial piercing on people above the age of 12 must be ASTM F2999 compliant. All jewellery used for initial piercing on people ages 12 and under must be ASTM F2923 compliant.